After four decades, the UK mission remains the same: to consistently engineer and manufacture the most innovative, long lasting products with cutting-edge technology and design. President and Founder Alan Uke started the company out of his dorm room at UCSD and it has been his labor of love ever since. Our customers deserve a product that works every time, so UK has issued a limited lifetime warranty on all of their cases. Underwater Kinetics is committed to making the most innovative and efficient products on the market. These products are lifetime investments. Thousands of satisfied UK customers have owned their case for over 20 years. Even items lost on the ocean floor and recovered years later still work! Only UK combines long-lasting reliability with ground-breaking design and ideas. Ameripack is proud to be a master distributor of UK for more than 20 years, and we have stock on these cases to prove it! Often your small gear and electronics are especially fragile and valuable. These protective watertight outdoor boxes are made from high-impact ABS plastic which is extremely tough and resists scratches, dents and corrosion. They also have an automatic pressure equalization valve to insure easy opening after altitude or temperature changes. With its o-ring seal, the UltraBox™ is waterproof, airproof and moisture proof – providing the ultimate in light weight protection. More than a plastic waterproof carrying case, it’s tough ABS design makes it the perfect light-weight and durable protective case. Our injection molded dry boxes are made from premium high-impact ABS plastic and fit with a watertight, dustproof o-ring seal making them extremely tough and resistant to scratches, dents and corrosion and can be submerged to depths often exceeding 1 meter. 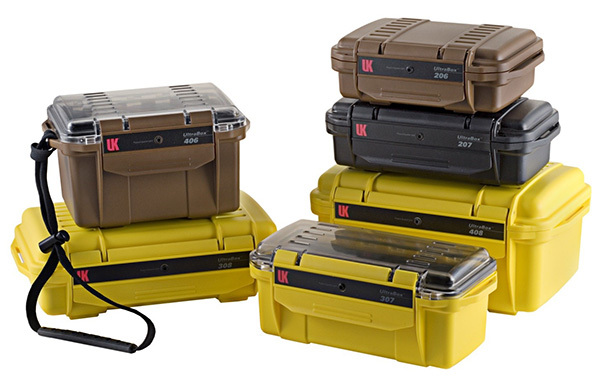 Light-weight and durable, these waterproof protective dry boxes are ideal for electronic instrumentation, test equipment, photographic equipment such as professional cameras or lenses, guns, or other delicate equipment. The UltraCase is where the ultimate in protection meets ingenious design. 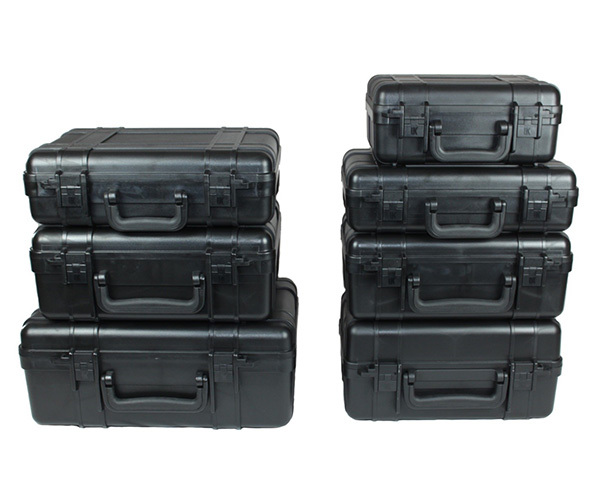 These tough injection molded o-ring sealed carrying cases protect contents from dust and water. Venting latches automatically equalize pressure differential inside the case when opened and seal the case against gas exchange when the case is closed. Many options make this hard protective carrying case adaptable to most applications. Ideal protection for instrumentation, sales presentation packages, test equipment, photographic equipment such as cameras and lenses, guns and other delicate equipment. The RoadWarrior Case is the extra large hard protective transport case line. These cases are designed to handle toughest of jobs offering Waterproof, Dustproof, Shockproof protection for transporting your gear. 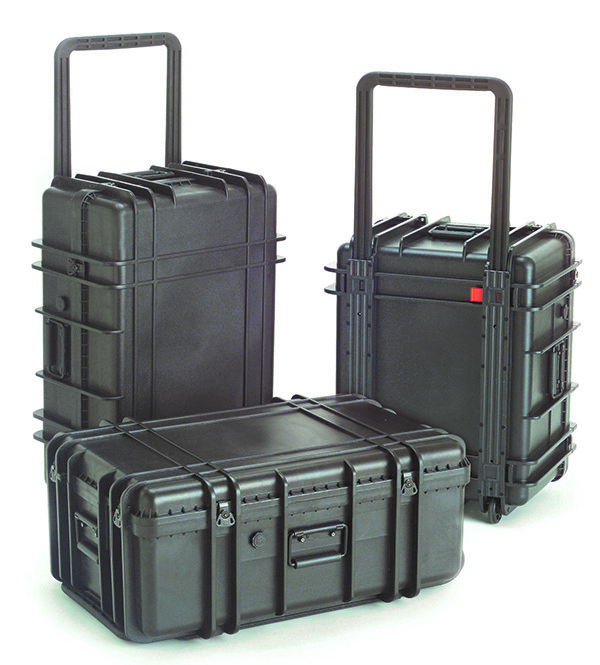 These tough injection molded protective carrying cases are designed with rigid reinforced walls to give maximum protection for even the most sensitive and expensive equipment during transport or storage. Optional extendable handle and 3 inch wheels make maneuvering easy under heavy loads. 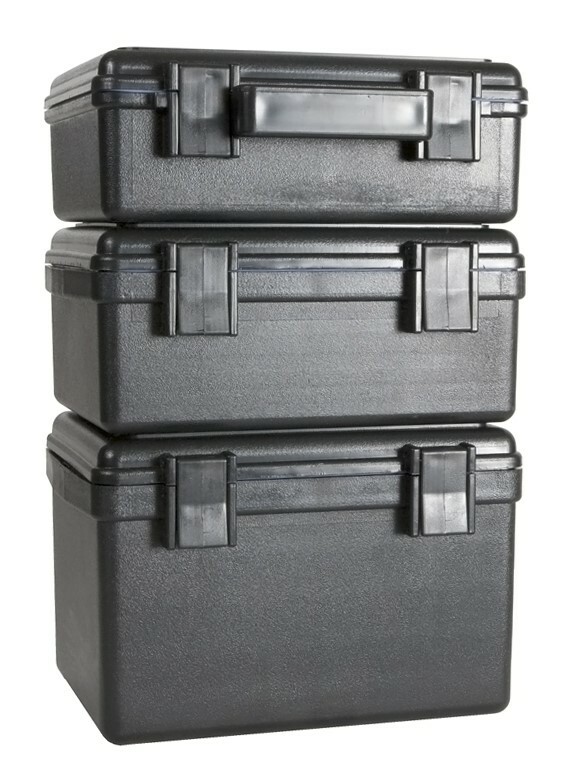 All cases include 3 metal spring loaded handles and stainless steel twist lock latches. With its rib reinforced walls, resistance to fine dust, waterproofing up to one meter, the RoadWarrior Case provides maximum protection during transport and storage.